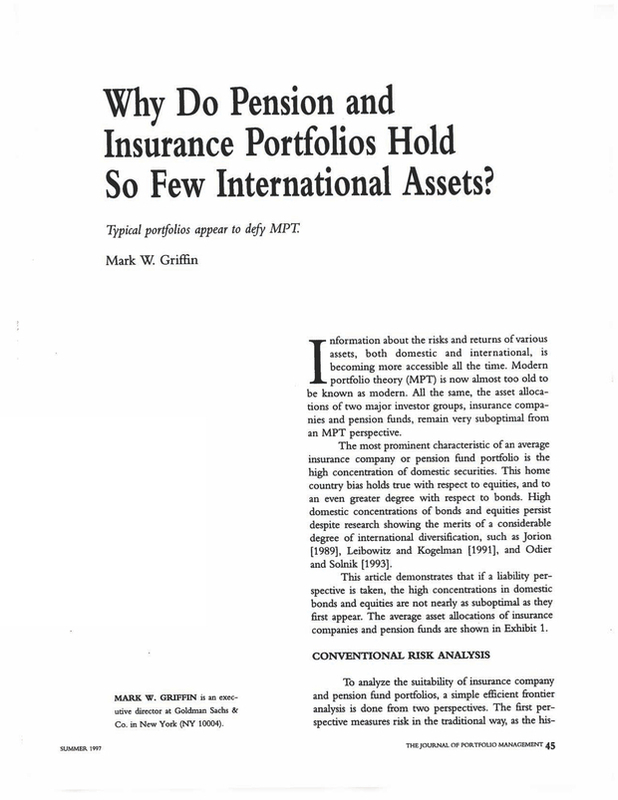 Why do Pension and Insurance Portfolios Hold so Few International Assets? An executive director at Goldman Sachs & Co. in New York (NY 10004). You are going to email the following Why do Pension and Insurance Portfolios Hold so Few International Assets? Enhanced versus Passive Mutual Fund Indexing: Has DFA Outperformed Vanguard by Enough to Justify Its Advisor and Transaction Fees?